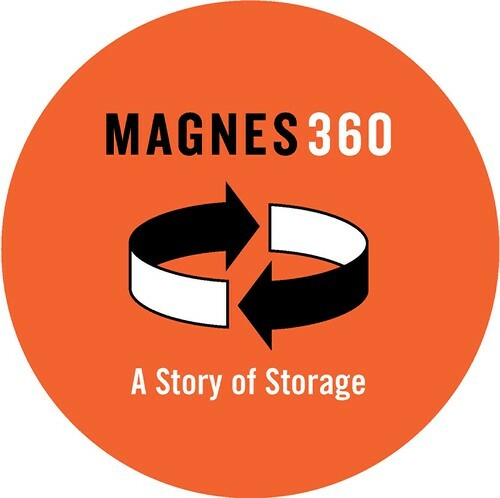 View The Magnes Galleries and Collection Storage in stunning 360-degree video footage! Use your smartphone to download the VenueGuide App at venueguidecms.com, find the signs in the galleries, and travel "through the glass," behind the scenes of the museum. Digital Bridges: (In)Visible Archives and Public Repertoires, directed by Francesco Spagnolo. Funding provided by Digital Humanities at Berkeley, University of California, Berkeley. The V&A collections consist of 233,742 museum objects and works of art which are suitable for long-term gallery display. These are the ‘Display Collections’. In addition […] there are 2,044,441 books, drawings, prints, photographs and archives which are available to see in the Museum’s Study Rooms [...]. These are the ‘Reference Collections’. These items can only be displayed for short periods for conservation reasons […]. At 31 March 2015 there were 2,278,183 items in the Museum’s collections […]. There were 60,124 collection items on display (incorporating 24.4% of the Display Collections) […] at 31 March 2015. In an attempt to bridge the gap between invisible archived collection and public performative display areas, cultural heritage institutions worldwide have implemented varying degrees of “visible storage” designs along with web-based interactive programs. However, on-site digital access tends to focus on the items on display, while the digital exploration of collections kept in storage areas is intended as an online (and often off-site) activity. Rather than narrowing it, this approach may in fact widen the gap between traditional exhibition displays and digital access. The Magnes Collection of Jewish Art and Life at UC Berkeley is one of the largest Jewish museum collections in the world, and the only one embedded in a research university. A teaching museum and a research laboratory focusing on global diasporas, material cultures, and digital humanities, it includes over 15,000 objects (ritual objects, textiles, sculptures, and paintings) drawings, prints, photographs, books, manuscripts, archival collections, sound recordings, and reference works. Approximately 300 items in the collection are on display at any given time, and 95% of the total holdings are accessible on-site (by appointment) in the Helzel Collection Study. Circa 8,000 digital surrogates representing collection holdings are available online, and The Magnes is actively, and successfully, raising funds and recruiting new staff to make more of its holdings digitally accessible. The design of the facility of The Magnes (inaugurated in 2012) devotes much of its real estate to collection storage, making it visible to visitors behind large glass panels. Alongside rotating research-based exhibitions that feature select collection objects, visitors are able to see where the quasi totality of the remaining holdings are permanently stored, and can witness in real time the research work done by curators, collections staff, and scholars (UC Berkeley faculty and students). However, four years since the facility opened, the proximity and the relations between visible storage and public display areas remain hard to grasp for most visitors. This seems to indicate that the metaphor of the “dusty archive” continues to maintain a strong hold in the field of cultural heritage. Such challenges present unique research opportunities in the area of digital humanities approaches to archives and repertoires in the storage of and access to cultural objects. The ability to enable iBeacon/VR access allows to explore how to make stored collections visible to the public. Collection visibility enables data collection and the structuring of metadata associated with the stored collections made available to the public, thus informing ways in which visitor-generated data about collection storage is collected, interpreted and activated. The research scope of Digital Bridges is therefor two-pronged. On one hand, we plan to investigate, and to question, the efficacy of emerging technologies (combining iBeacon and VR) in overcoming the barriers between storage and display, archive and repertoire, research and curation. On the other hand, this effort will allow us to also research how metadata-based access enables a deeper engagement with cultural objects, building upon the “loop” between analog museum objects, on-site exhibitions, digital research, and online dissemination, which was begun in 2015 with The Future of Memory.